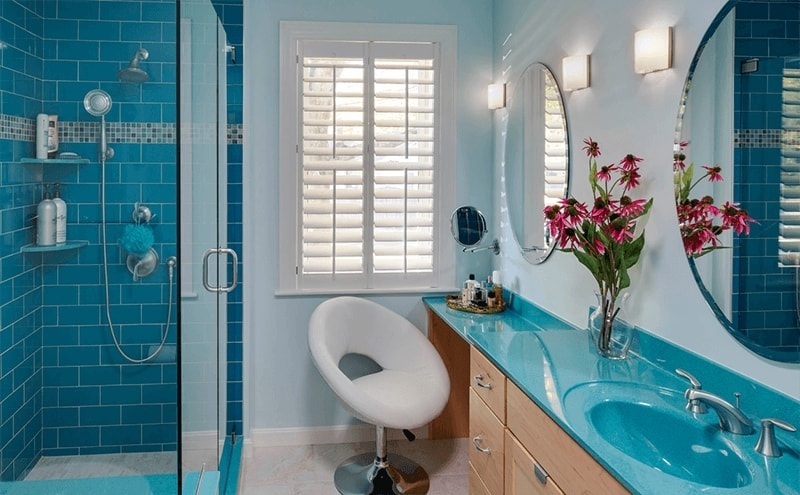 You are tired of looking at avocado or pink tile and really want a stylish new bathroom. 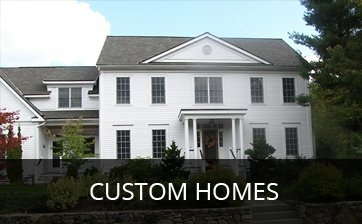 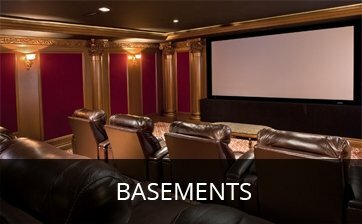 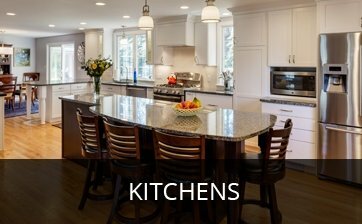 At Harvey Remodeling, our design consultants can review the wide variety of options with you. 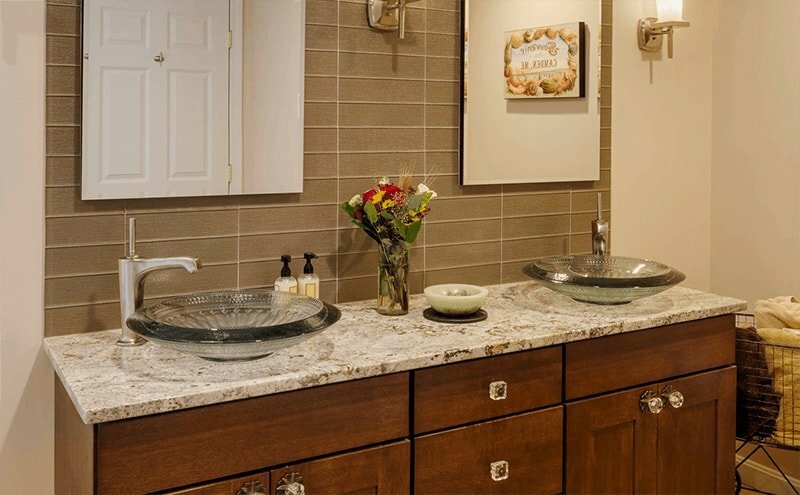 In a busy bathroom, two sinks work much better than one. 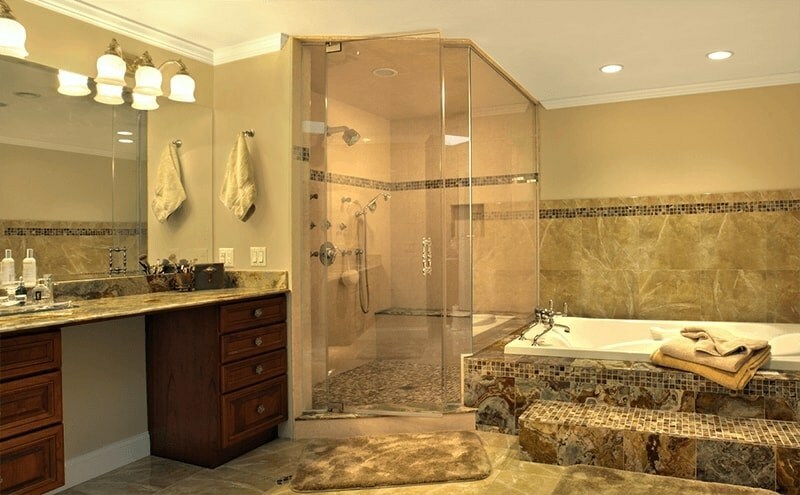 The shower stall was great for a while, but now you need to give small children baths. Or conversely, that old tub just isn’t used anymore, and a modern shower enclosure with multi-heads would be like having a spa in your home. 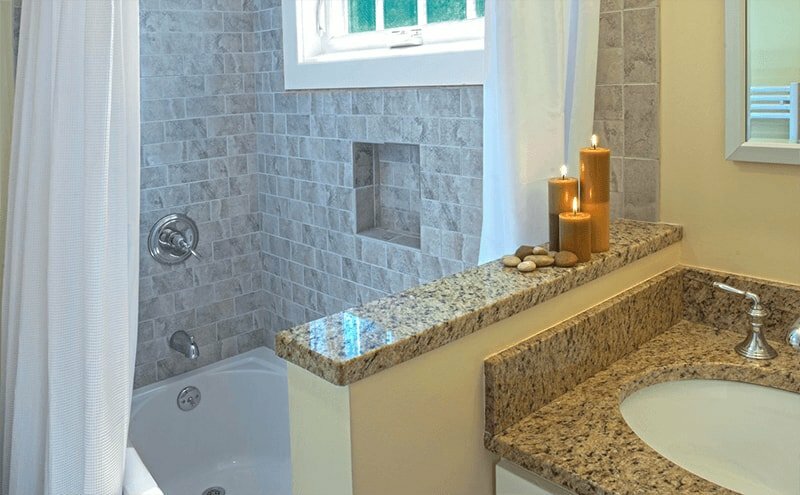 If you have shared one bath for far too long, adding another bathroom can really ease the morning rush of a busy household. 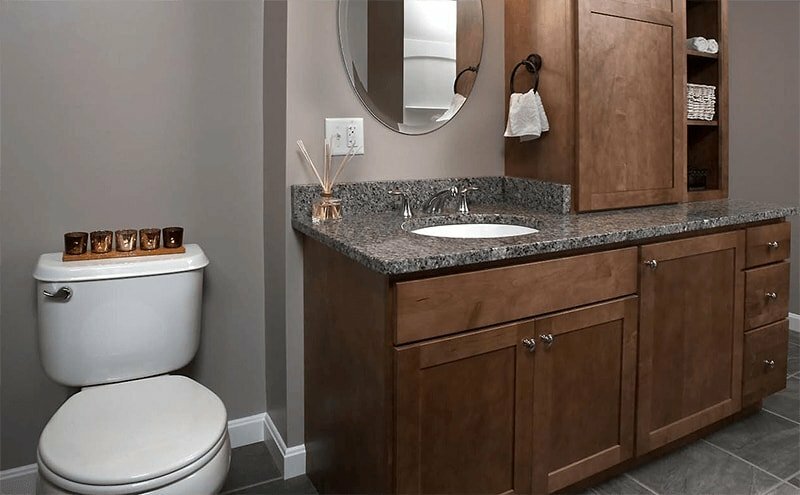 There are a number of ways to improve energy efficiency and comfort when remodeling a bathroom, including water saving fixtures, radiant flooring, and low-flow comfort height toilets. 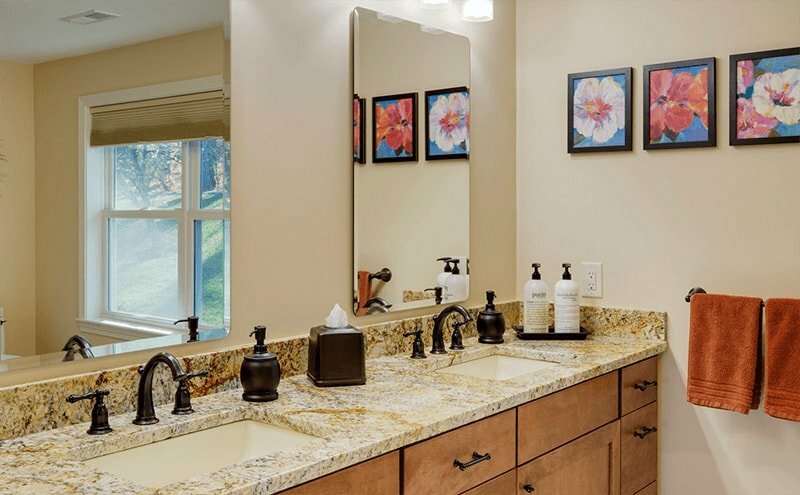 New windows can eliminate drafts in the winter and help save money on heating bills. 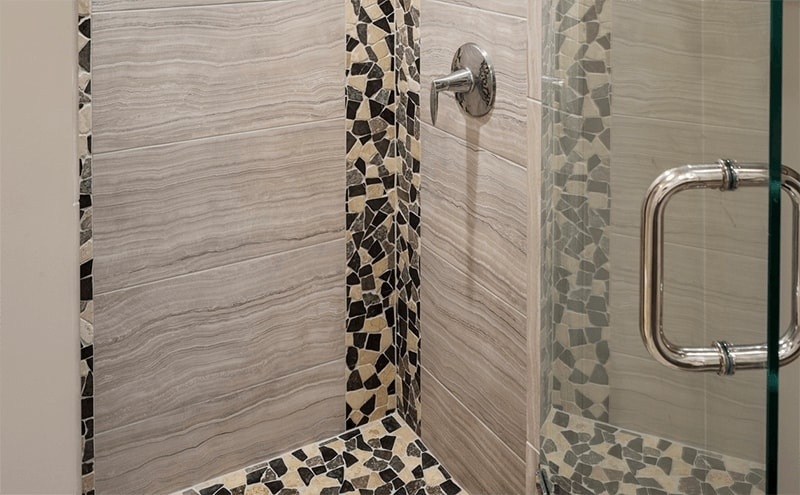 Universal design can be beautiful. Your Harvey Remodeling design consultant can show you how to incorporate slip-resistant flooring, curbless showers and wider doorways. 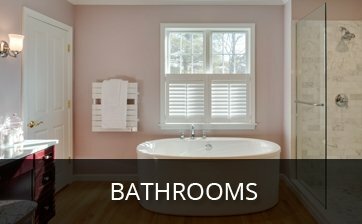 We are skilled in incorporating many features that meet ADA guidelines that won’t leave your bathroom looking like a hospital room. 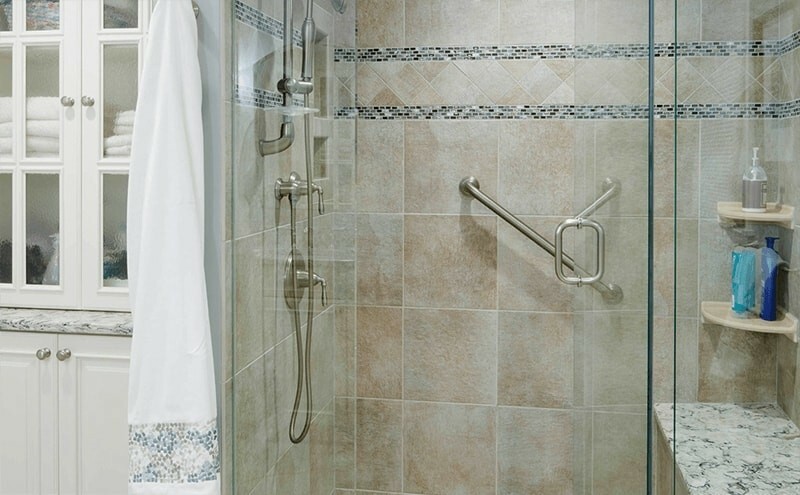 Universal design elements are often a wise investment as they are not only important for aging in place, but can ease the burden on a family member who is recuperating from an accident or sports injury. 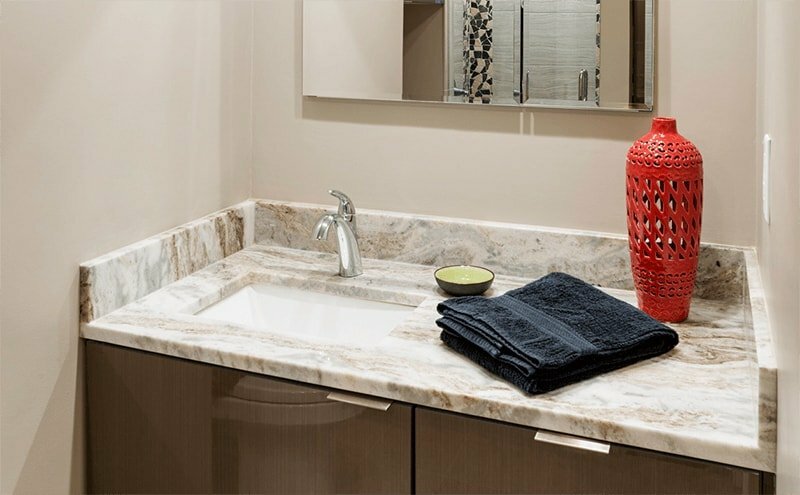 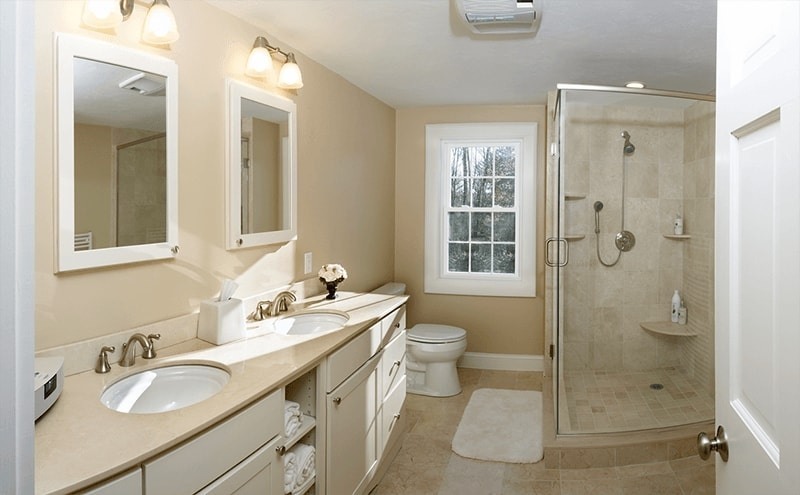 A beautiful bathroom can really help your home stand out in a crowded real estate market. 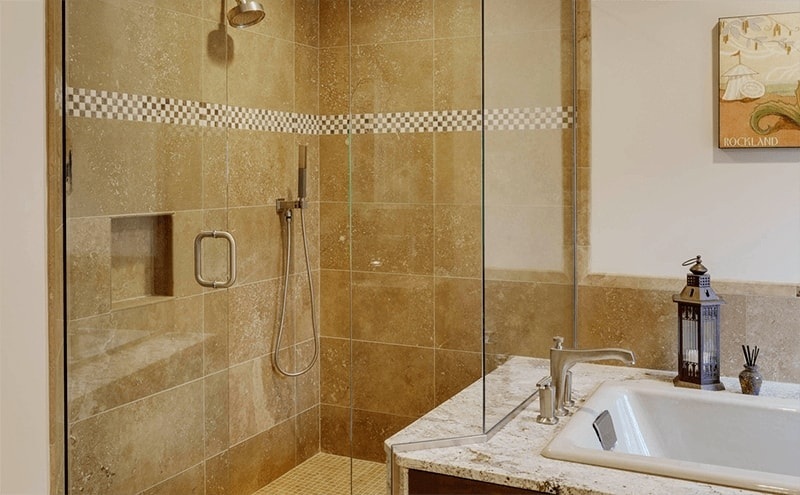 Remodeling Magazine’s“2007 Cost vs. Value Report” shows that a bathroom remodel can return 78% of its cost upon resale. 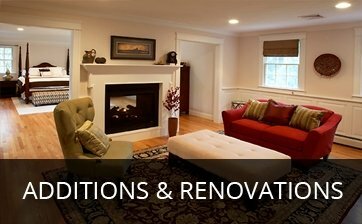 If you have water leaks, you may have unsightly rotted floors and mold problems. 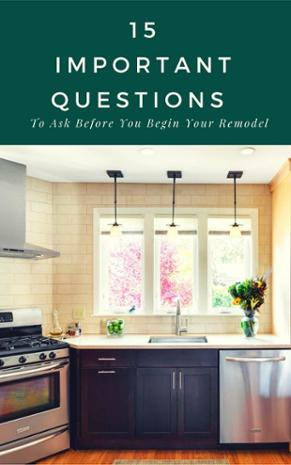 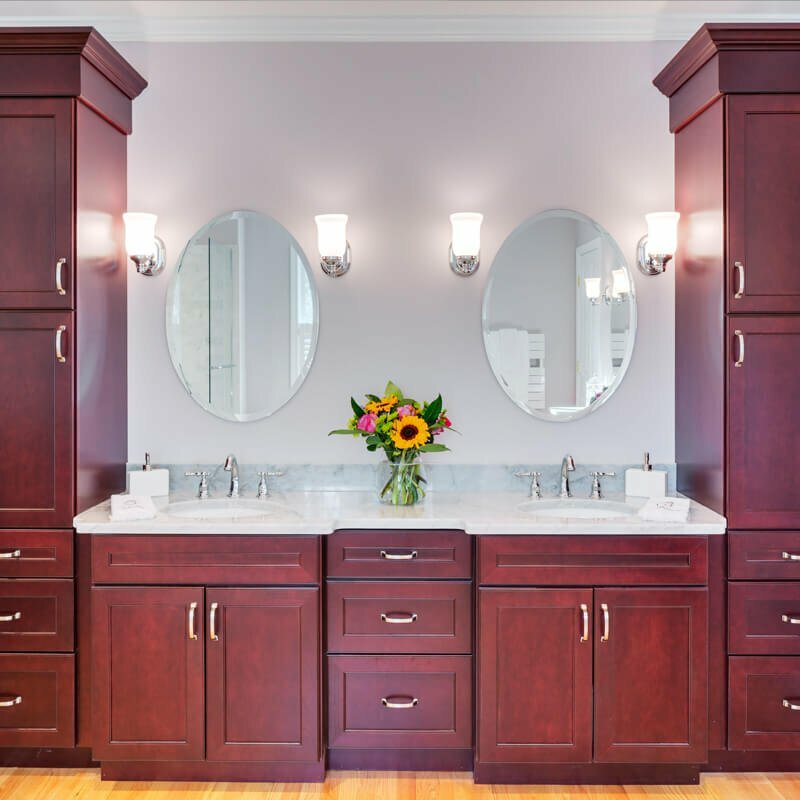 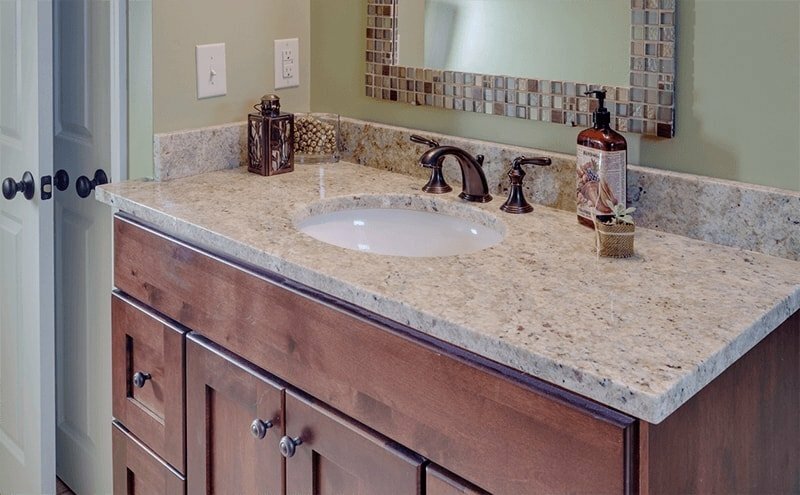 Harvey Remodeling is experienced in dealing with these issues and can show you how to eliminate them in the future and create a beautiful bathroom that you will love! 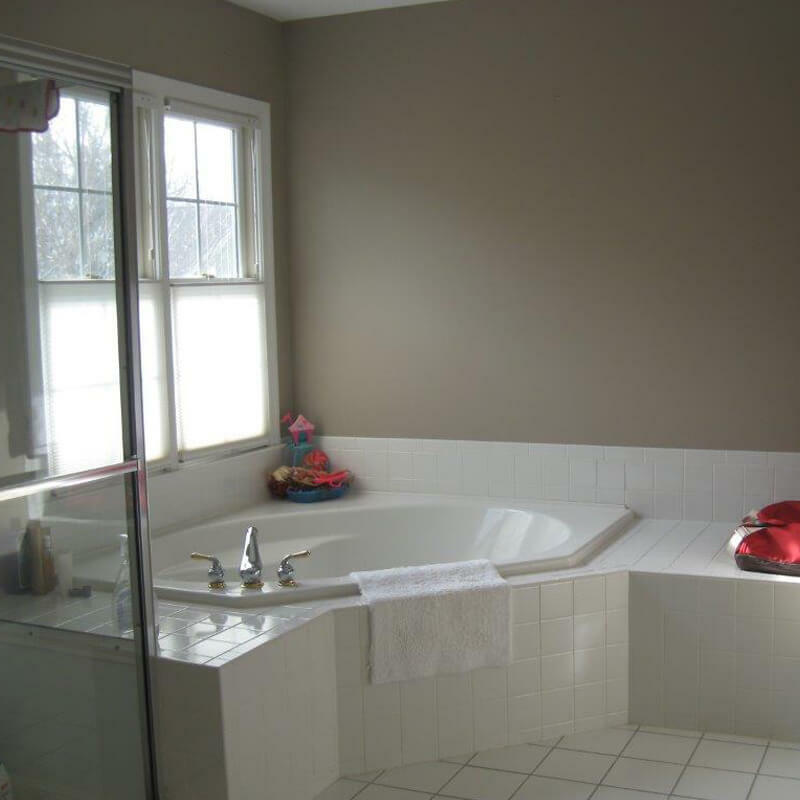 Our client felt that their bath was cold both aesthetically and physically. 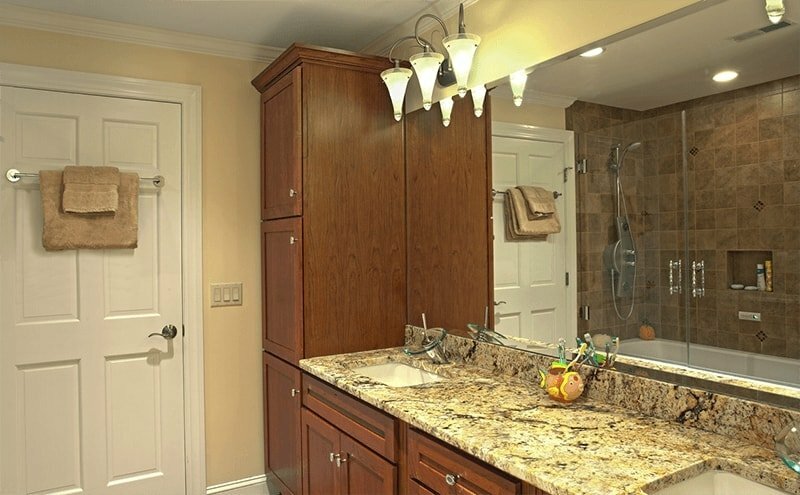 They wanted an updated luxurious master bath retreat with an improved layout and a much warmer feel. 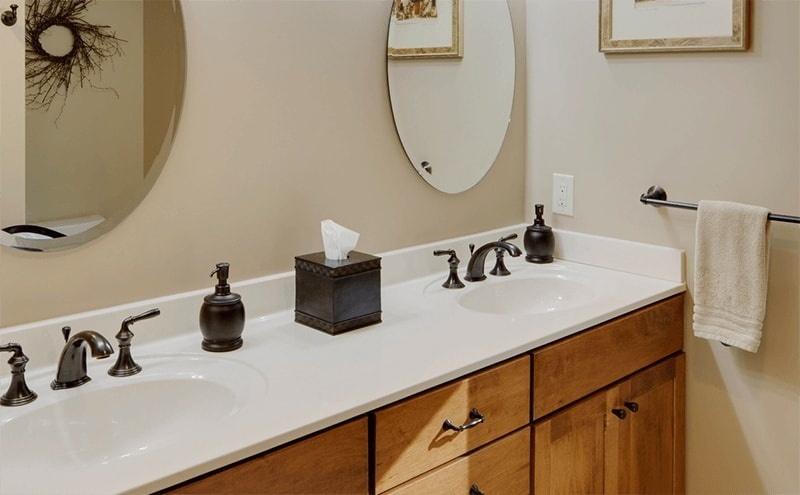 To address the physical cold, we re-insulated the garage ceiling below the bath, then replaced the cold, white tile flooring with beautiful hardwood flooring. 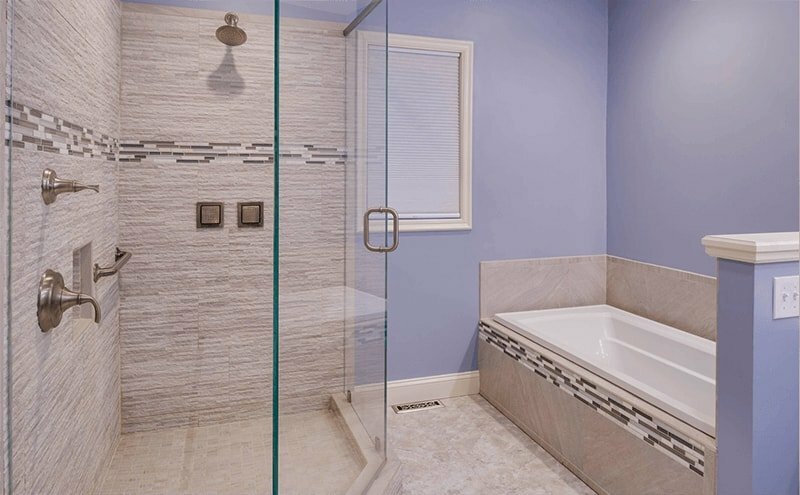 To upgrade the space to a master bath retreat we created an area for a beautiful, custom, tiled shower in marble, with a bench seat and added a modern soaking tub. 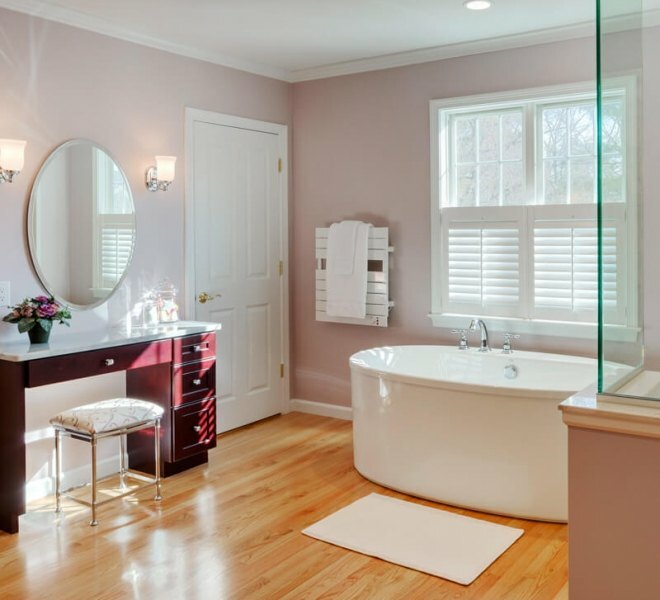 The windows were relocated to bring natural light into the whole bathroom and nicely positioned in front of the soaking tub. 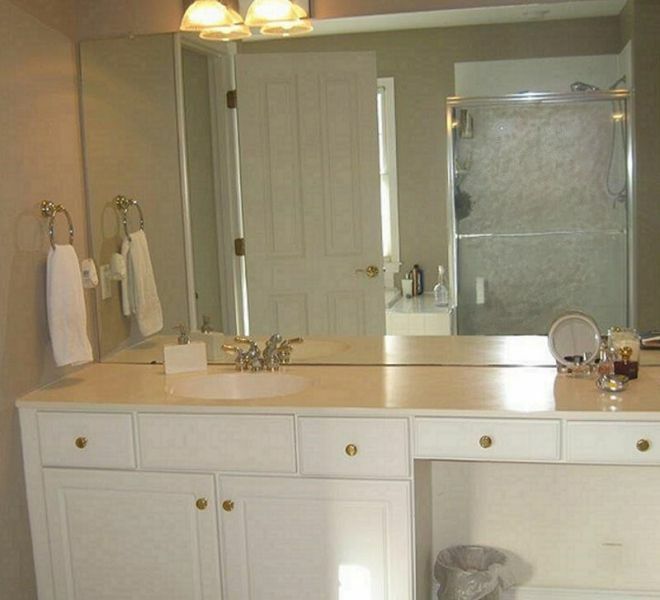 We removed the wall separating the toilet, but retained some separation with the half-wall and tall cabinetry. 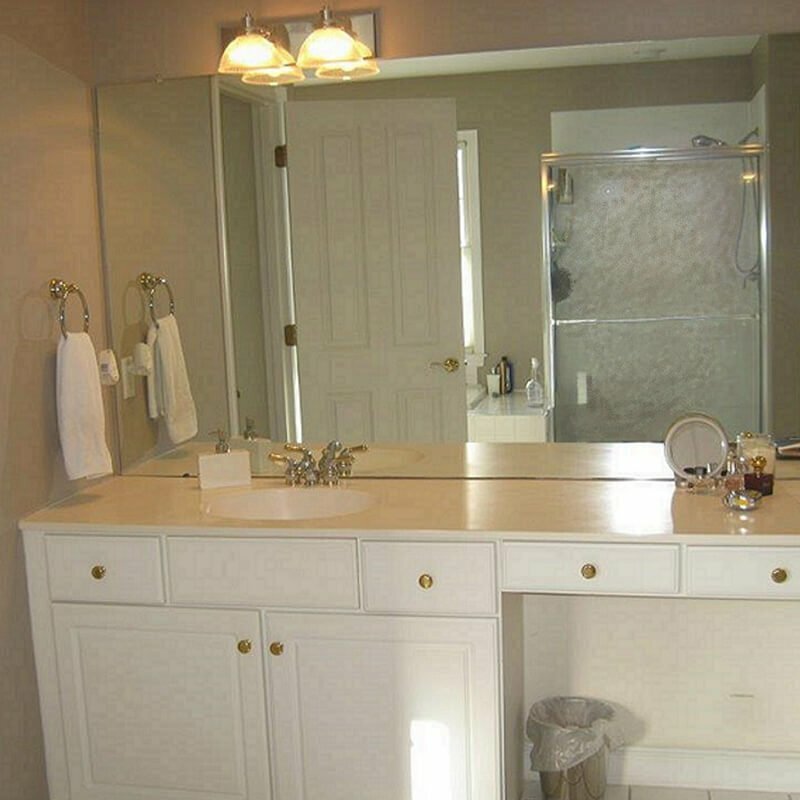 The effect of these layout changes was a much more well-balanced space. 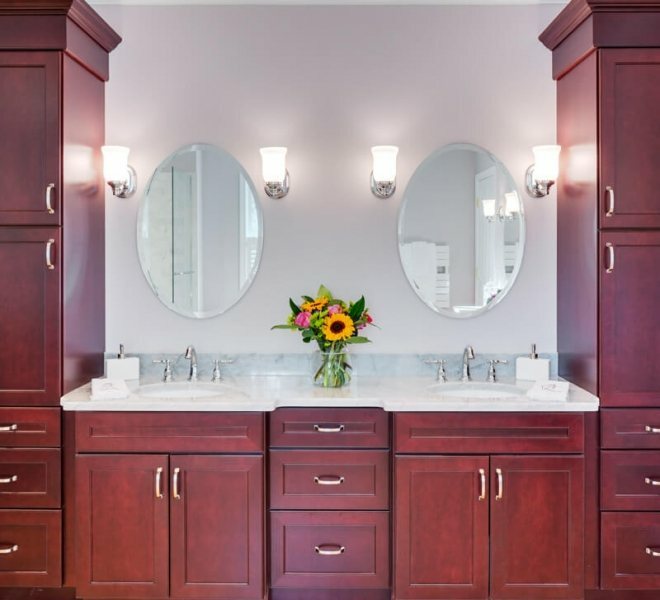 Finally, warmer-toned cherry cabinetry in a Cordova stain with Carrara marble countertops add a timeless element. 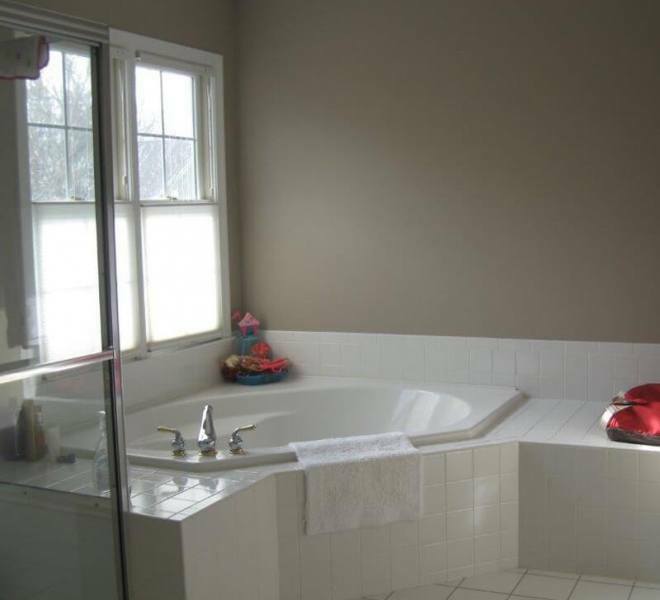 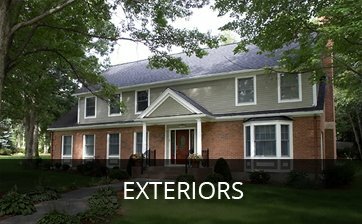 A warm paint color completed the transformation from cold and dated to warm and luxurious.